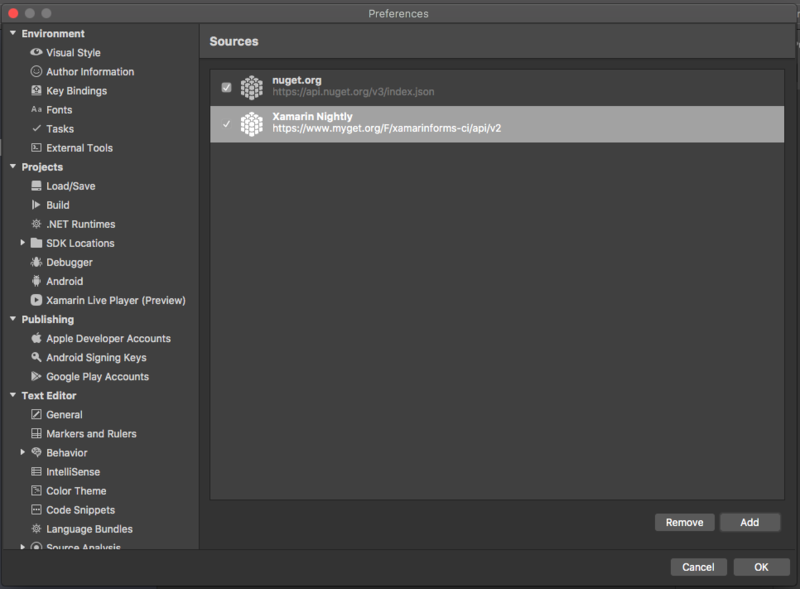 Nightly Builds are the latest versions from Xamarin Forms 3.0. I’m going to do an Introduction about these Builds. I hope this is useful for you. Let’s Start! ✔ Better XAML IntelliSense experience in Visual Studio 2017. ✔ XAML compilation shows build times reduced by as much as 88% in some benchmarks. 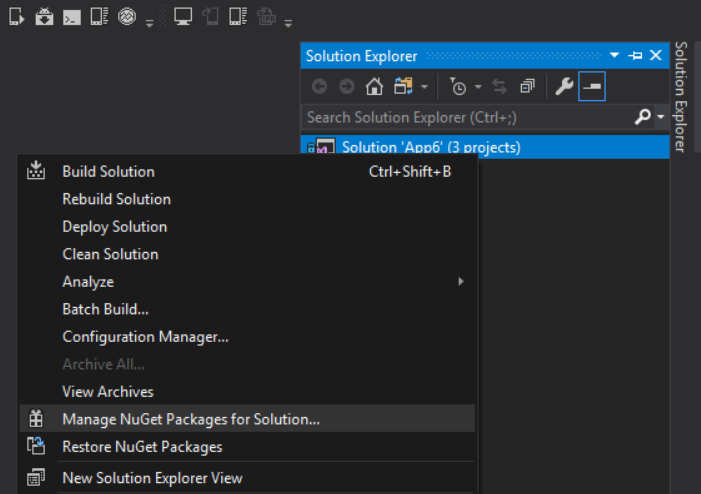 1.Right Click on Solution and then Click on Manage NudGet Packages for Solution. 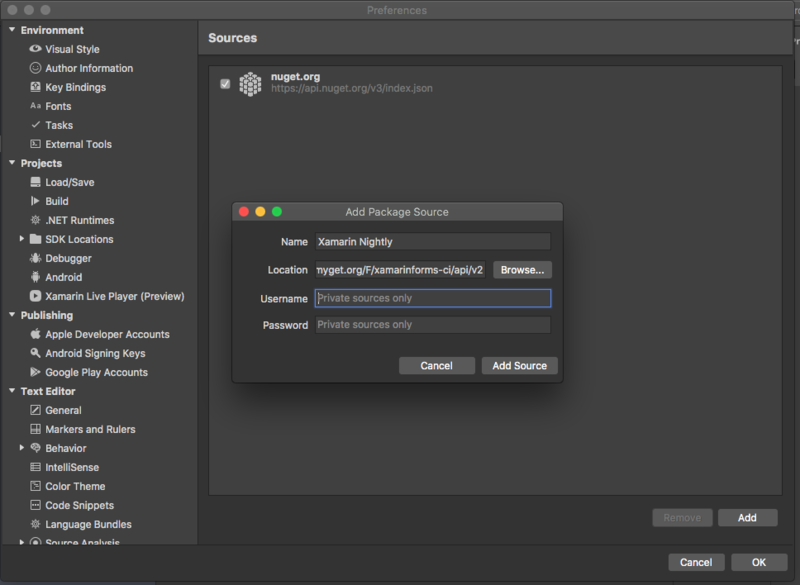 1.Right Click on Packages –> Click Add Packages , then you’ll see a window, then Click on Configure Sources. 3. The Source is now added, Click Ok.
5. 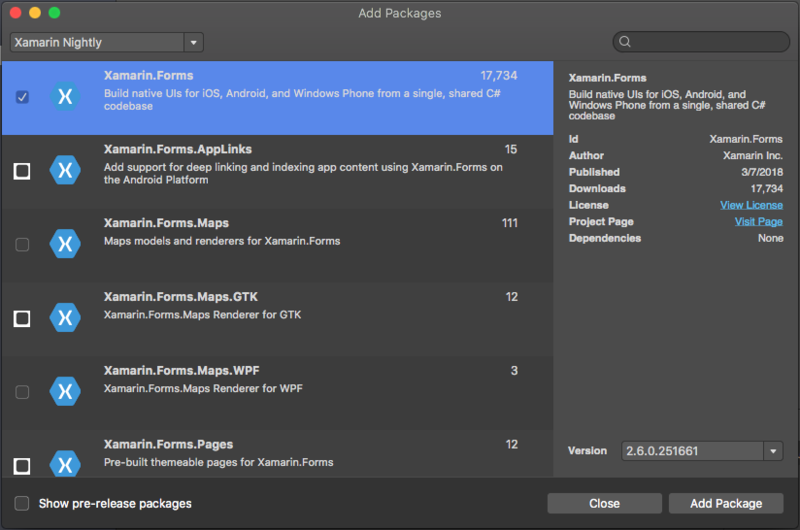 Check Xamarin.Forms and Add Package. Done!, the version has been Installed. If you already did this, close and Re-Open your Visual Studio. That’s it !! 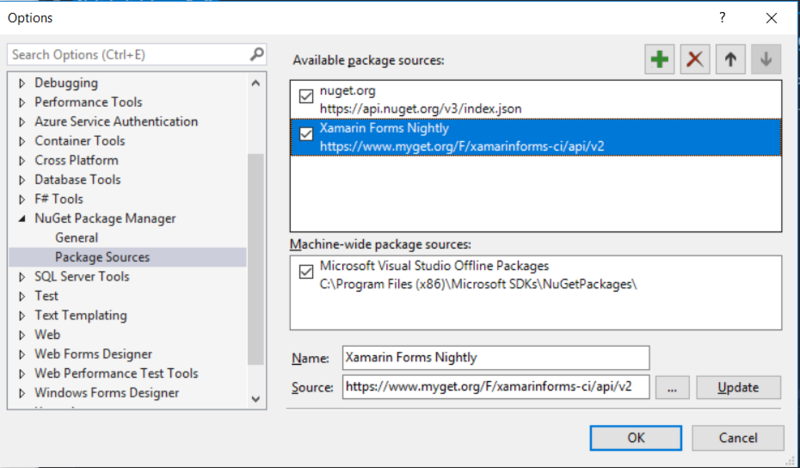 You can use your Xamarin Forms Nightly Version!